St Barbara is committed to growing through discovery and generating highly prospective drilling targets throughout our portfolio of tenements. This is achieved by constantly optimising the economic value of our exploration portfolio to ensure exploration programs are focused on the highest ranked targets, with the aim of drill testing and turning over ground efficiently and effectively as possible. 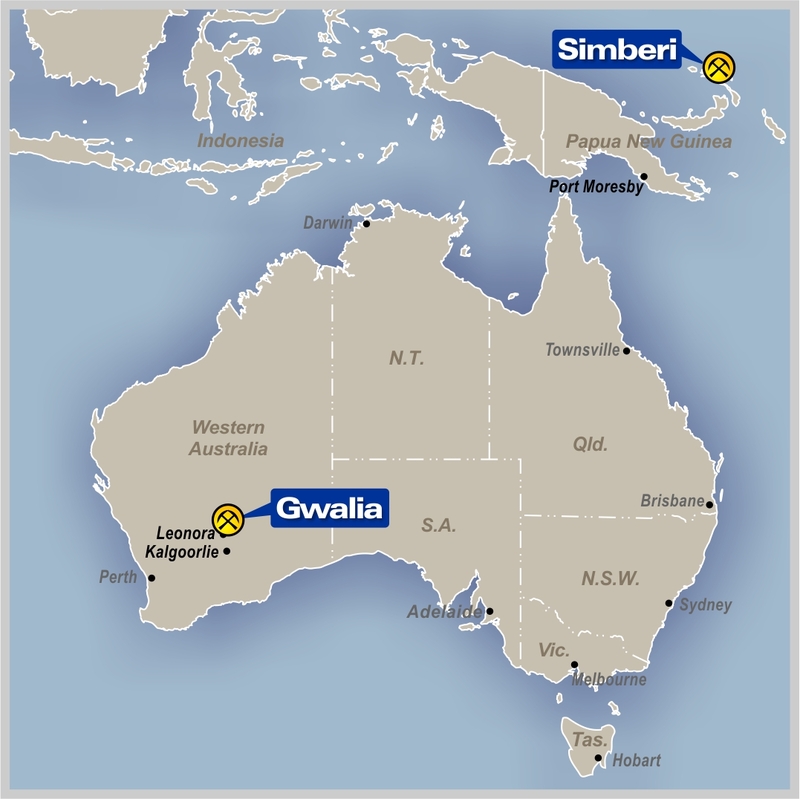 St Barbara has extensive land holdings in Australia, including an extensive block of tenements around existing operations at Gwalia. This is an important strategic asset for near-mine exploration covering a highly endowed granite-greenstone terrain in the Eastern Goldfields, the premier gold province of Western Australia. St Barbara also has extensive prospective areas around its operating mines at Simberi in Papua New Guinea. These encompass various styles of mineralization and include gold and porphyry copper-gold targets. Evaluation of the sulphide gold resources at Simberi symbolises the opportunity in these areas and ability to use existing infrastructure for a potential expansion. Exploration activity is reported in the quarterly report available at announcements page.